One of the most frequent requests we get from our customers is to recommend a skincare routine. And what better way than to take a peek into how others care for their own skin? We’ll be doing Skincare Routine Deep Dive posts on Glow Recipe’s blog on an ongoing basis, interviewing some of our friends and fellow skincare experts along our way. 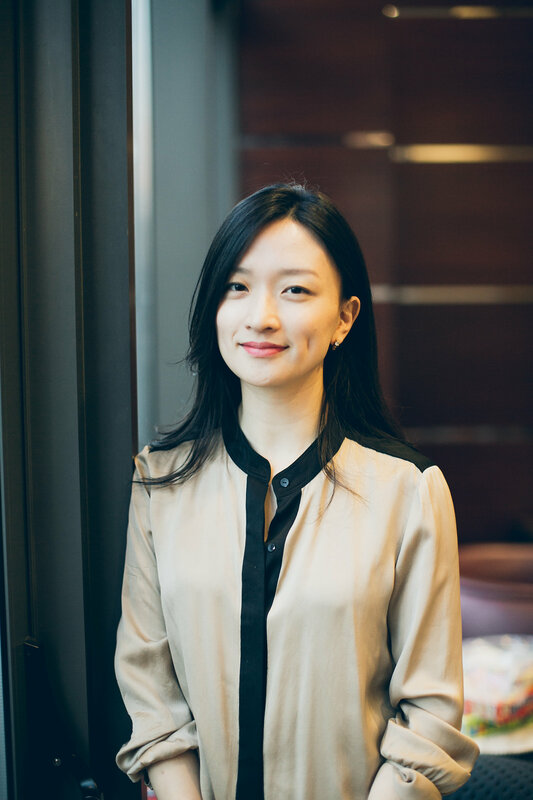 Today we’ll be starting with our co-founder, Christine Chang – life long skincare aficionado and a beauty industry vet. What is your skin type and skin concerns? Dry as the Sahara. And fine lines around my eyes along with newly forming smile lines. When did you start your skincare routine? In college. I spent my high school years in Australia (long story) and was exposed to the sun 24/7 sans sunscreen. 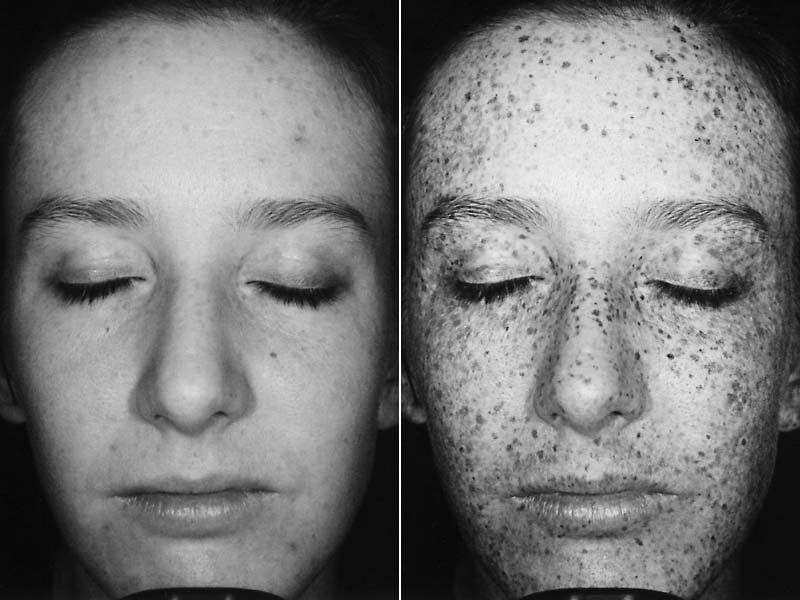 In my freshman year, I was strolling by a beauty counter and happened to get an UV light analysis, which reveals what is going on underneath the surface of your skin. I was horrified all of those melanin flecks just waiting to surface, and immediately ran to the closest beauty counter to start buying creams and sunscreens. My parents also sent me a care package with Korean skincare products, which started a lifelong obsession. The analysis looked like something along the lines of the above…. What is your usual daytime routine? I’m constantly testing products for the site, so my routine is always in flux but I stick to the basics of cleanser, toner, serum and cream. I prefer a very gentle cleanser in the day time – I’m a strong proponent of being as gentle to your skin as possible and am not a fan of sonic cleansing brushes, especially during the day time. I make sure that the serum I choose has antioxidants in them (my favorite is LJH’s Vita Propolis Ampoule) so that my skin is protected from damaging free radical activity throughout the day. And sunscreen at the end, always sunscreen. I believe in using a separate SPF because it’s hard to apply enough of a cream with SPF to get the protection you need. I’ve always applied two layers of sunscreen – after seeing how much sunscreen is used in testing protocols, this is my fail safe. I also have a mist on me at all times to constantly to rehydrate. And night time? First, double cleansing. My belief is that if it takes several layers to put on your skincare and makeup during the day, it takes more than one step of cleansing to remove it. 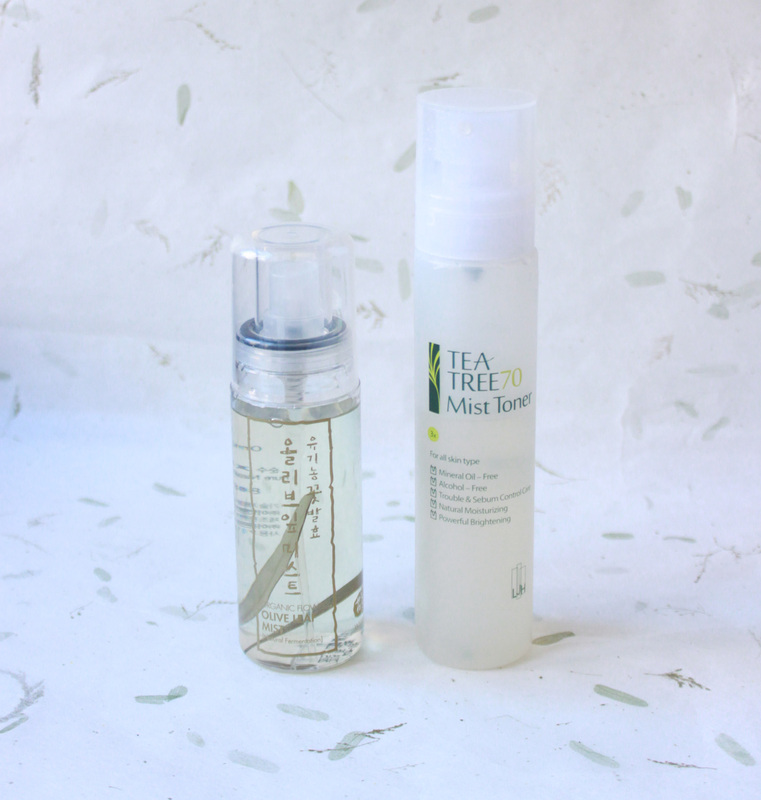 I pair an oil cleanser and a foam cleanser that’s free of Sodium Lauryl/ Laureth Sulfates. I then use a hydrating toner to kick start my routine. Then it’s sheet masks. I use at least 3~4 sheet masks a week – it’s a made a huge difference in my skin and I consider them as an investment…and alternative to facials! I then use a serum and cream, I’m testing at least 5 different ones at the moment. How did being in the beauty industry for almost a decade impact your skincare routine? I started my beauty career in Seoul, which was a true blessing. Having access to a dazzling array of local products on a daily basis was a constant source of inspiration. Then coming to NYC and being on the global team of a brand meant getting to work with and understand women of diverse skin tones, concerns and types – there’s really no one-fits all solution for anyone. It’s all about experimenting and finding what works for you. I was also fortunate to be with a company that was renowned for constant employee training and it’s been a great foundation for understanding what ingredients I do and don’t want in my skincare. What is the one piece of advice that is essential for good skincare? Be gentle and hydrate. Cushiony, plump, moisturized skin is your friend – it’ll help minimize visible lines. A solid moisture barrier also helps to keep skin healthy. Hi, you have beautiful skin! What moisturizer do you use? I find that I switch around too much with my products and would like to keep my routine streamlined like yours. I have super dry skin as well! Thank you!